Great opportunities in beautiful Quail West in Naples, Florida. Vacant homesites are available for resale starting at $85,000 for lots close to an acre. 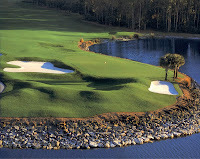 Quail West is an upscale golf community located in Naples, Florida. With two 18-hole championship golf courses and a majestuous clubhouse, Quail West offers a secluded and very private setting. Resale properties in Quail West start at $1,245,000 and goes up to almost $10 millions.